Malus is the boss of the Cultist Hideout, a secret area in the Lost Halls. He uses circle-shaped fire attacks and is the leader of the 5 cultists that serve as the bosses. 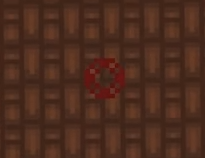 Malus is found in a large square room with a red pentagram painted in the middle. He stands on one corner of the pentagram, with his 4 other followers on the other corners. When the cultists are approached, they will provide some dialogue before attacking. Malus teleports around, firing circle-shaped bursts of red Cultist Shots at nearby players. When sufficiently damaged, he will teleport back to his corner of the pentagram and remain invincible and dormant until all the other cultists have been damaged enough. When this happens, the cultists will summon Molek and disappear. When Molek is dead, the cultists will repeat the above process, albeit now firing 3-round bursts of their shapes. When they are damaged enough they will summon Balaam and disappear again. Once Balaam is dead, the cultists repeat the above process, albeit firing omnidirectional bursts of their shapes instead. Once all of them are at low health, Malus will move into the center of the pentagram and the other cultists will sacrifice themselves to give Malus their essence. Malus will then taunt “The power…it’s overwhelming! IT PULSES THROUGH ME!” and transform into his second form, identifiable by its glowing eyes. Malus’ second form has significantly higher health and slightly higher defense than his normal form. He now has immunity to Stun, and retains his life-draining abilities. Malus can now use the other cultists’ attacks in addition to his own. When an attack is finished, he will teleport to a random other location in the room before firing another random one. When using an attack, his eyes will turn the color of the respective cultist and he will also take their form. If his eyes remain red, he will fire several wide spreads of Fire Shots at the nearest player. If his eyes turn blue, he will fire rapid, nonstop shotguns of Ice Shots at the nearest player. If his eyes turn yellow, he will fire spreads of Lightning Shots that curve and fly back to him. If his eyes turn grey, he will fire a fast spiral of Light Shots. If his eyes turn purple, he will fire radial bursts of wavy Unstable Shots that move in a crisscrossing pattern. Throughout the fight, assorted Cultist Followers will spawn from 4 symbols at the edges of the pentagram to assist him. Once he has reached about 1/2 HP, he will transition to Phase 3. Malus discards his elemental attacks and begins teleporting around, using the other Cultists’ shape attacks. Like before, his eyes and form will change to match the Cultist whose attacks he is drawing from. Every time he teleports, he will pick a random Cultist and fire several radial bursts of that Cultist’s shapes. The exceptions to this are for Argus’ and Gaius’ attacks, as he will fire spreads of their shapes instead. Note that his yellow paralyzing attacks seem to fire much faster than his other ones. Once he is reduced to about 1/10 HP, he will enter Phase 4. Malus teleports to the center of the room, and fires fast rings of all of the different Cultists’ “shapes” of shots. He will be invulnerable while firing, and will become vulnerable and stop shooting after some time has passed. If he isn’t killed fast enough, he will become invulnerable again and repeat the process. Potion of LifeG - ? Potion of ManaG - ? Malus is similar to Lord Ruthven in the sense that his attacks steal life, giving him a huge healing rate. This makes it so that how long the fight drags out depends on whether your group can handle his healing rate. If in a small group, prioritize dodging so that he cannot heal off you. If in a large group, prioritize damage so you can steamroll him before he uses too many attacks. After Malus fuses with the other cultists, priortize the minions that spawn periodically. The combination of Armor Break and Slow from the enemies can be deadly. Only damage done to Malus after fusion will count towards soulbound damage. Also do not stand on the small red symbols they spawn from as you can take heavy damage. When soloing or doing Cult in a small group, a very useful strategy can be used where when the first wave of small cultists spawn from the dots, the player can drag them to a section of the Hideout then run past or teleport away from them. This will prevent additional small cultists from spawning in the second phase of the fight and significantly reduces the difficulty. All small cultists will chase aggressively, except for yellow which has to be dragged at a pace of 0 SPD and white, which can be ignored and left in the room as it is very difficult to drag far and can be ignored by standing on the side of Malus that it is not on. Malus’s name, along with the other Cultist’s names, is taken from the game Shadow of the Colossus, where it is the name of the final and most powerful Colossus. Malus in particular is also Latin for the word “bad”, even though Malus keeps the ultimate evil - the Void Entity - suppressed with the help of the other cultists.